Things to keep you busy in the Snow! Is your school closed because of the snow? If it is we’ve got some great ideas to keep you busy on your day off! Whether you want to go outside and have fun in the snow or stay indoors and keep warm, we’ve got some ideas for you. 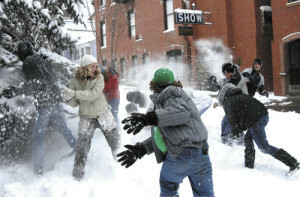 Snowball fights are a ‘must-do’ whenever it’s snowing. Just make sure you’re wearing gloves as making snowballs freezes your hands really fast! Building a Snowman is one of the best bits about being out in the snow. But why not mix it up a bit? You could build a snow-cat, a snow-dog or even a snow-beaver! Sledding is an awesome way to keep yourself busy when it’s snowing. And don’t worry if you don’t have a sled. There’s loads of things around the house that you can turn into one. Just ask a grown-up. Here’s a policeman using his shield as a sled! 4) Listen to Fun Kids! 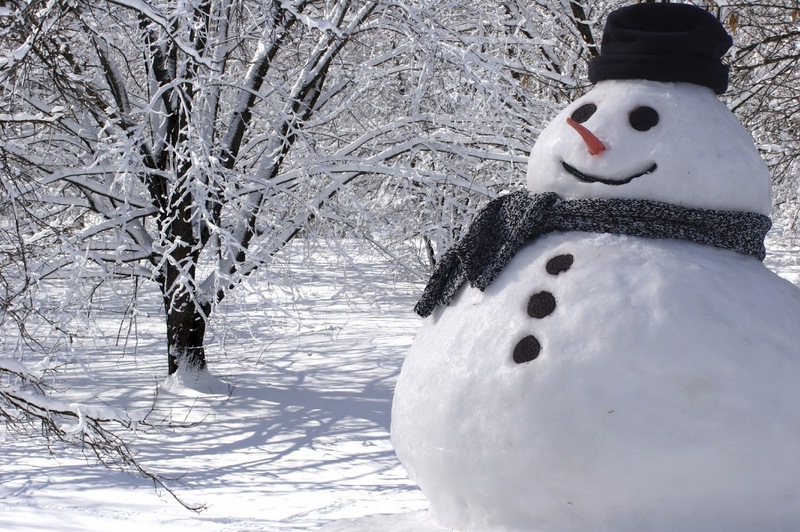 Going out in the snow is loads of fun, but it can get cold pretty quickly! When you’re a bit chilly, why not wrap up in a duvet and tune in to Fun Kids? We’re playing loads of great tunes right now. 5) Watch our Fun Clips! Every day we post a funny video from YouTube online. Why not wrap up warm and watch through our collection? Click here to watch them! Go to the next page to see more ideas to keep you busy whilst your school’s closed! Snow angels are one of the easiest things in the world to make and they look really cool too! Here’s a video that shows you how to make them! 7) Check out our Pop Star pages! This is another one to stay warm indoors with. Learn more about your favourite Pop Stars on our Pop Star page. We’ve got the latest news, pictures and videos from Little Mix, One Direction, District 3 and Union J! Click here to see the pages! 8) Stay inside and cook! Why not stay inside and bake your self some delicious cakes? 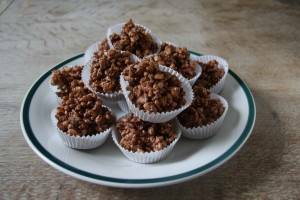 Check out our recipe page for Chocolate Rice Krispie Cakes, Chocolate Cornflake Cakes and Flapjacks! Click here to see the recipes! Whilst you’re not at school, why not enter some of our competitions to win some awesome prizes. 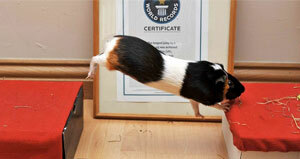 ?This week we’re giving away a 3D puzzle and loads of sets of books. Click here to win! 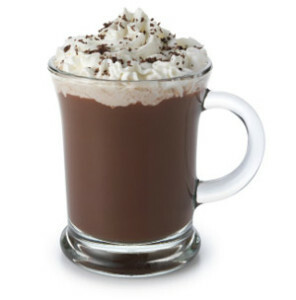 One of the tastiest ways to stay warm in the snow is to drink hot chocolate! Why not try using cream, marshmallows and strawberries to make it really exciting!